Is your company struggling with duplicate purchases, increased purchase order costs, limited spend capability, or perhaps grappling with the impaired ability to locate inventory items? If so, you may be unaware that many of these issues stem from bad data almost invisibly embedded in your material masters. What’s worse, as time goes by the problem only increases in both scope and size unless something is done to restore your material masters to unspoiled condition. 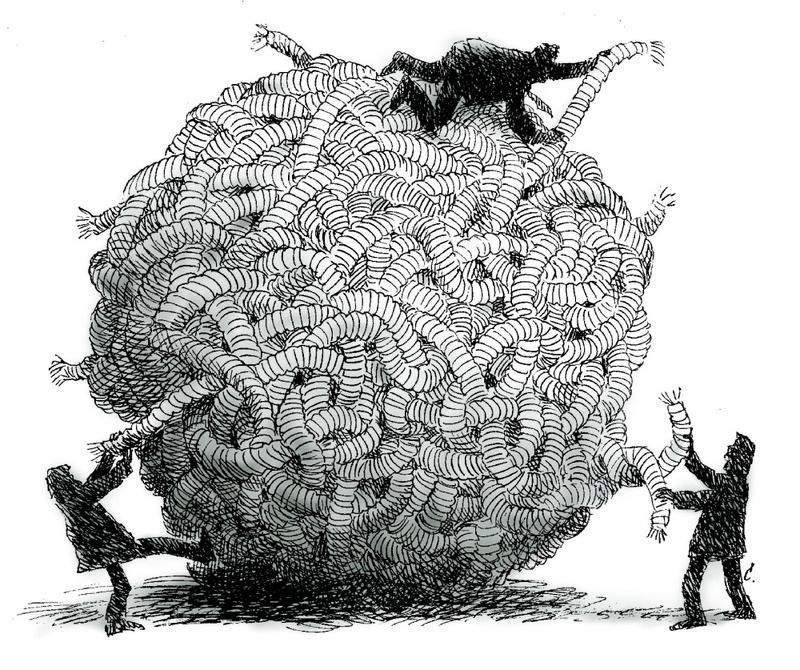 Fortunately, with help from QuadraDot’s Granite Material Masters™ software it’s possible to untangle the Gordian Knot of bad master data and transform it into an asset that can save your company both money and time. Cleansed and restored data allows intelligent and well-informed business decisions to be made from the top down as the real status of material masters are made evident. Exactly what is Bad Data? First, let’s define “bad data.” The face of compromised data can come in many disguises: inconsistent abbreviations, duplicate abbreviations, or the same abbreviation (or nearly the same) being used to designate related but not identical items can obscure the picture for departmental stakeholders accessing their material masters. Likewise, item entry that doesn’t include previously standardized naming and ordering conventions also will likely result in a clogged and unreliable system. Unfortunately, given the range of possible inconsistencies that may be encountered, various departments may access the data to make informed decisions, only to be confronted with data that is jumbled or uninterpretable. Confusion results when they are unable to determine the real status of material masters and are forced to make a best guess kind of decision of what is being presented to judge how to proceed. Multiple searches will then have to be done for the same product as a result of numerous avenues of inconsistency. Bottom line, when there is no standardized taxonomy approach to data entry, it can cause a whole host of unexpected problems for your business that will only disseminate up and down service lines if left uncorrected. Back to basics: Taxonomy is a hierarchical structure to organize materials housed in your material masters’ database. Taxonomy facilitates search by users, sourcing spend analysis, and data exchange with suppliers. Data Dictionaries can be leveraged to realize a taxonomy by providing standard material description elements like noun, modifier and attributes. The graph below demonstrates non-standardized descriptions that are then properly named and ordered by the Granite Material Masters™ software. Bad data is bad news. Buyers spending more time than they should on deciphering true inventory versus what the computer system is reporting. Departments don’t have visibility to determine detailed spend. Executive decision-making based on inaccurate and incomplete data. Frequently companies may try diverse approaches to sanitizing their own data, but unless a structured, standardized taxonomy approach is implemented, they’re just obscuring the issues that someone else will have to deal with later when the complications become impossible to avoid. Upgrading to a data mastering system has many benefits above and beyond the task of merely cleansing data. Our QuadraDot Granite Material Masters™ software links different IT architectures seamlessly so that numerous company stakeholders can have uninterrupted access to the material masters so that all may benefit from the new and improved data. Software: Our powerful Granite software enables anyone to master their materials easily. New patterns can be found, duplicate and compromised data can be eliminated, and a reliable structure will be put into place. Consulting: With decades of experience, our QuadraDot team has the ability, knowledge and expertise to help you completely optimize the supply chain from start to finish. System Implementation and Optimization. Whether you’re running a new ERP, purchasing system, or desktop platform switch, we can help with both system implementation and optimization. Process Optimization and Implementation. Our Six Sigma Black Belt led team can help streamline processes that lead to trim, efficient operations. Continuous Improvement. Our Staff is trained in lean manufacturing which can help your business cut down on surplus product and warehousing, streamline logistics and much more. By taking advantage of both our software and consulting services, your company can finally put an end to the countless issues that bad data on material masters can proliferate. We have the database experts and the skills to make your bad data disappear. With more than thirty years combined experience in data-related venues, we’ll be there to help you structure your data and provide guidance and expertise on how to manage it properly going forward. In no time at all, QuadraDot will slash through your Gordian Knot of bad data once and for all.